just put your oven to 350 F and get a oven safe container and add the whole potato with the skin leave in the oven for at least one hour and 15 min, turn off the oven but leave it inside until all the others steps are done, just cup in the middle and scoop the insides with some coconut oil and salt on top. 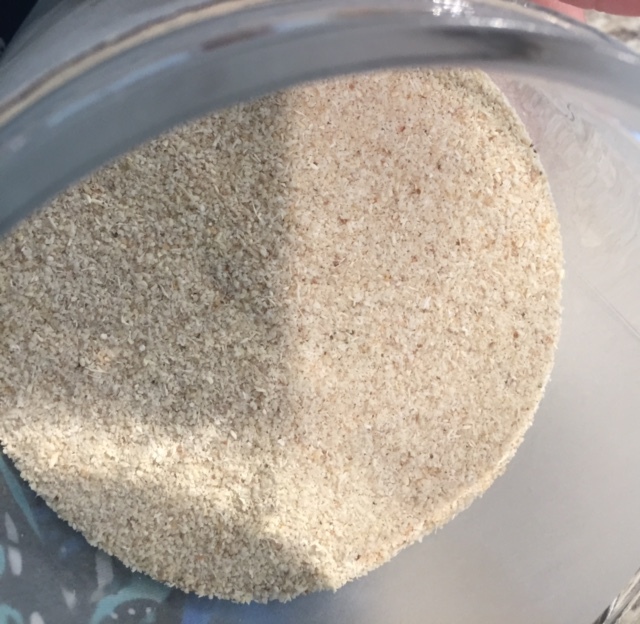 I used a rice cooker, it is easier this way, so I will explain how I did mine in order to fry the ingredients and add on the rice cooker. get a paper and remove all the humidity from the top of the fish. on the container with bitten egg you deep each breaded fish on each side and wait patiently for all that extra egg to run off your fish, just stand up the fish on vertical position and wait the egg to run down. heat the oil in pan to fry it, do in medium heat and be patient, they need to turn very light brown, not dark otherwise you burn the cassava flour that is a delicate flour, go low heat if you need. 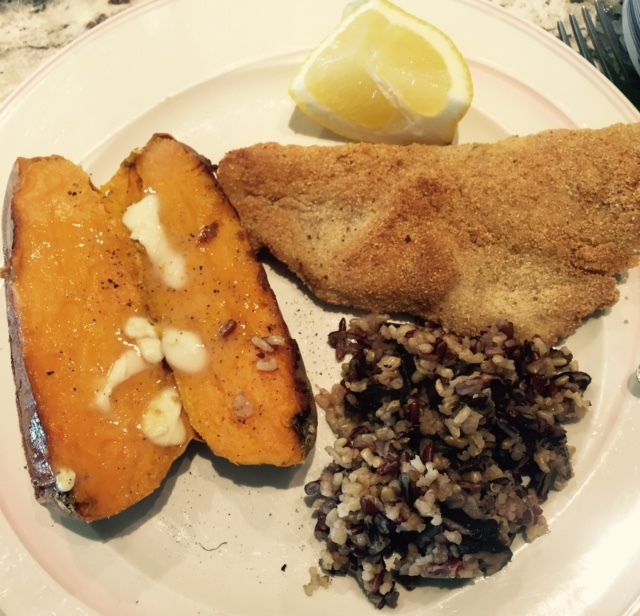 than dry it in a paper and serve with sweet potatoes some squeezed lemon on top of the fish and the rice.